Salinas boasts a rich history in agriculture, a culturally diverse population, and the character of a quaint Californian city. It’s not surprising literary legend John Steinbeck nicknamed his hometown of Salinas “the valley of the world”. It’s easy fall in love with our open valleys, rolling hills, and vibrant downtown neighborhood, where there is no shortage of arts and entertainment to enjoy. Salinas is home to a wide range of cultural events – from the California International Air Show, to food festivals, to auto racing at Laguna Seca. In addition, our proximity to the Pacific coast and cities such as Monterey and Carmel offers residents easy access to award-winning wineries and restaurants, and the world-renowned golf destination Pebble Beach. Salinas native John Steinbeck is a keystone in the community’s culturally rich history. The National Steinbeck Center, the only American museum dedicated to one author, explores decades of literary history, while the 1897 Queen Anne Victorian Steinbeck House testifies to Steinbeck’s fond memories of the Salinas Valley, where he grew up and developed many of his writing inspirations as a child. 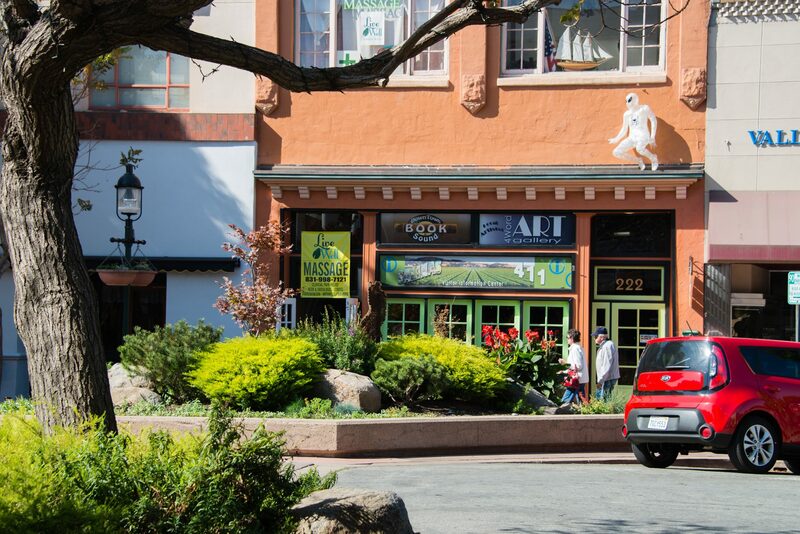 Downtown Salinas offers an eclectic shopping experience with a collection of boutiques, restaurants, and art galleries that reflect a genuine expression of Salinas’ natives and locals. More than 40 art venues host free exhibitions, live music, performances, and activities on the first Friday of each month for Salinas’ First Fridays Art Walk. Just five minutes east of Downtown Salinas, East Alisal Street turns into an animated celebration of Latin American cultures with live music, cultural performances, food booths, and floats for the annual El Grito Parade and Street Festival. Nicknamed the “Salad Bowl of the World,” Salinas’ culinary scene is known for its fresh food and a rich variety of restaurants. The Salinas Valley Food & Wine Festival comes through town every year to celebrate a variety of local wines, craft brews, live music, and culinary arts. Top local restaurants include Patria, a rustic-style restaurant where warm art and vintage pottery meet house-made pastas, pizzas, and meats. As one of the most popular breakfast spots, First Awakenings has been recognized as the best place for breakfast in the county since 2006. Rancho Cielo offers a delicious three-course dinner menu on top of its non-profit culinary academy for underserved youth. As California’s biggest grower of pinot noir grapes, Salinas’ wine industry is rooted in the very soil from which its fruits flourish. 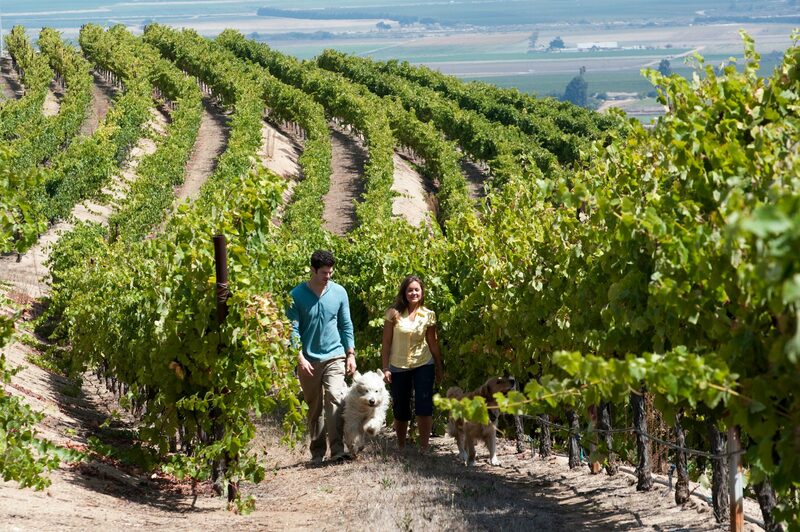 Salinas is located in Monterey County, which was recognized in 2015 as one of the world’s top 10 wine destinations by Wine Enthusiast magazine, and has 349 vineyards, 125 brands, and 85 independent grower-vintner operations. Monterey County’s unique geography creates the perfect growing climate for grapes, and its winemaking dates back to the 18th century. Today, there are more than 175 vineyards within a two-hour’s drive of Monterey County, with a variety of vineyards along Salinas Valley’s River Road Wine Trail, including Hahn Estates and Paraiso Vineyards. Sports fans and spectators have plenty of activities to choose from in Salinas. For those looking for an action-packed day of bullfights and carnivals, the California Rodeo is one of the top 20 professional rodeos in the nation, and draws more than 40,000 fans to the Salinas Sports Complex each year for a week of professional bull riding and cowboy clowns. For more than 30 years, some of the nation’s finest military jet teams have returned to Salinas for the annual International Air Show, with special presentations from the USAF Thunderbirds and an occasional appearance from the Blue Angels. The action doesn’t stop in Salinas. Just outside of the city, the Mazda Raceway Laguna Seca welcomes two and four-wheeled competitors to its 11-turn, 2.238-mile road course year-round. The Monterey Bay Aquarium, also a short drive from Salinas, is continually recognized as one of the best aquariums in the U.S for its large and diverse displays of marine animals. Further north, spectators can watch The Santa Cruz Warriors tip off during basketball season, or cool off and enjoy a fast and exciting hockey game at The Shark Tank, home of the San Jose Sharks. Nestled in the valley of California’s Central Coast, Salinas boasts a mild Mediterranean climate that allows for year-round outdoor activities and recreation. What’s more, Salinas leads California with the cleanest air in the state, making every day a perfect day to play outside. The American Lung Association marked Salinas as the only California city that reported zero days of unhealthy air quality in its 2016 “State of the Air” report. Locals enjoy a variety of parks and open spaces, from Pinnacles National Park, where the unique geographic diversity is an outdoor classroom for botany and biology, to Toro County Park, where hikers, bikers, and horseback riders enjoy more than 20 miles of trails and breathtaking views of the valley. Coastal neighbor Big Sur boasts roughly 90 miles of gorgeous coastline, and is home to hundreds of miles of hiking trails, whale watching, fine dining, and emerald beach coves. Nearby Pacific Grove gives access to the 17-Mile Drive, which is regarded as one of the most scenic drives in the world. The 17-Mile Drive stretches all the way through Pebble Beach, a peninsula known for its world-class golf courses and resorts. Pebble Beach Golf hosts prestigious golf tournaments and awes players and spectators alike with open views of the Pacific Ocean, and draws more than 200 classic cars and thousands of visitors to its fairway for the annual Pebble Beach Concours d’Elegance. Salinas residents can also take advantage of the city’s close proximity to Santa Cruz, a beach town celebrated for its famous Boardwalk (complete with volleyball courts, amusement parks, and more) and, most notably, the Santa Cruz World Surfing Reserve, which boasts more than 23 surf spots. A total of 35,220 students are enrolled in public schools in Salinas. There are 65 schools that span across more than 10 public school districts, with a student to teacher ratio of roughly 25:1. The largest school districts include Salinas Union High School District, which serves 14,000 students across 10 campuses, Alisal Union, which serves more than 8,000 students across 12 campuses, and Salinas City Elementary School District, which serves almost 8,000 students across 13 schools. Additionally, approximately 4,190 students in Salinas are enrolled in private programs, between 30 elementary schools, 30 middle schools, and 22 high schools. Monterey County graduation rates continue to trend upward, with 77.8 percent of students obtaining a high school education, while some of Salinas’ largest school districts match California’s graduation rate of 80 percent and higher. Living in Salinas means being able to escape to world-renowned beaches and capitalize on business resources established through strong networks, without feeling the weight on your wallet of living in Silicon Valley or on the coast. The overall cost of living in Salinas is lower than average living costs in the city of San Jose and state of California. Cost of living indices are based on a US average of 100. From modern homes in well-established neighborhoods to traditional ranch-style sanctuaries settled in the countryside, Salinas offers a variety of housing options for small and large families alike, at less than half the cost of neighboring city San Jose.